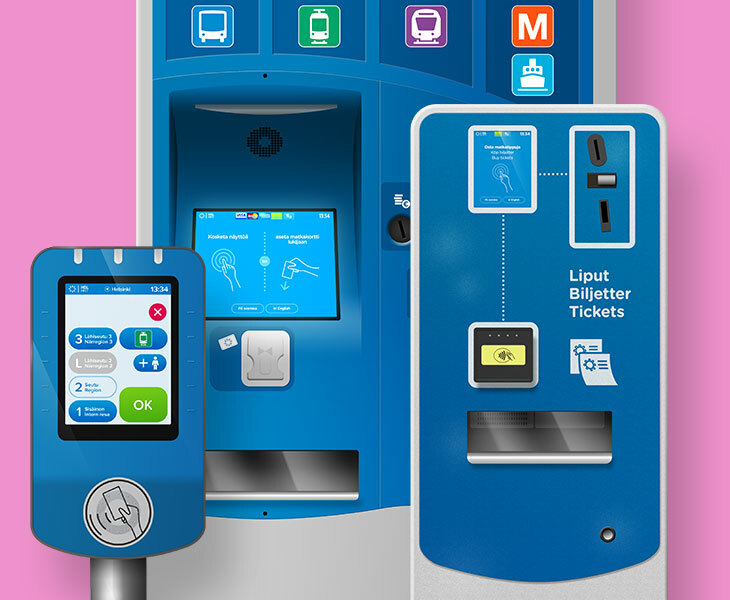 The rollout of the new Helsinki region ticketing and information system begins in summer 2016. The new system with its easy-to-use devices and real-time passenger information makes the everyday journeys of HSL’s customers significantly easier. See what the new system entails. One of the most noticeable elements of the reform are the modern, touch-screen Travel Card readers. In addition, new ticket machines are introduced. In future, displays at bus stops and the Journey Planner will display all vehicles in real-time. There are significant changes to the drivers’ working environment on buses. Drivers get completely new touch-screen devices. In addition, the reform introduces a new sales system and new background applications. Monitoring of operations and provision of disruption information will improve in particular. Read more about the project background and schedule and see also the frequently asked questions. Here you can also download pictures and find contact details.